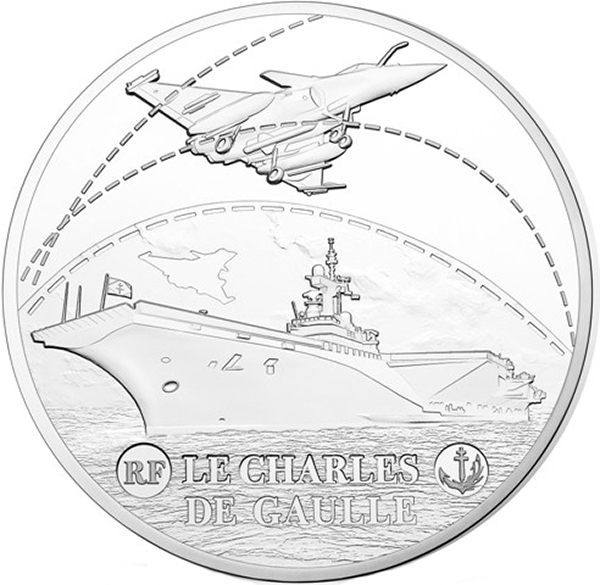 The Monnaie de Paris honors the aircraft carrier Charles de Gaulle in 2016 with the issuance of a three-coin commemorative set struck as part of the Great French Ships coin series. The 858-foot-long carrier is named for the iconic (and controversial) French general and politician. During World War II, de Gaulle was an important leader of the resistance and was head of the provisional government from 1944 to 1946. He served as the nation’s prime minister from 1958 through 1959 and president from 1959 until his resignation in 1969, just months before his death in 1970 at the age of 79. The French Navy aircraft carrier Charles de Gaulle was ordered in 1986. It was constructed in 1987, launched in 1994, and commissioned on May 18, 2001. Charles de Gaulle is currently Western Europe’s largest commissioned warship and only nuclear-powered carrier. 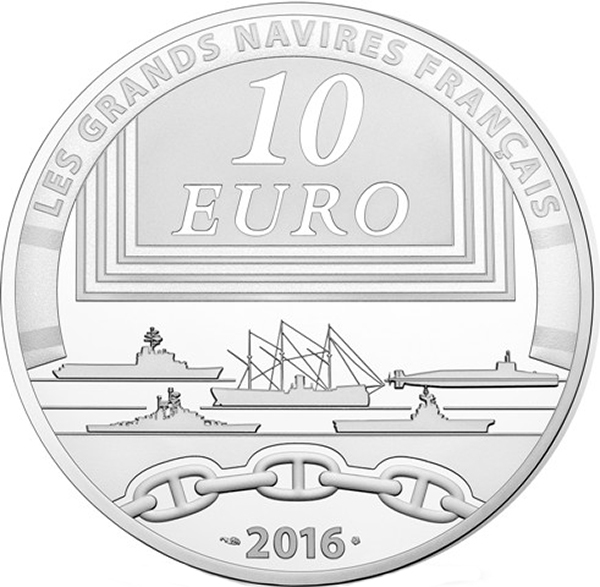 The Great French Ships coin series is in its fifth and final year, having been launched in 2012 with designs featuring the French military cruiser Jeanne d’Arc. Each year of the series has honored a warship, a sailing vessel and an ocean liner. 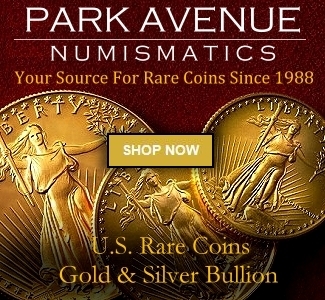 The three-coin sets include a 10-euro silver coin, a five-ounce 50-euro silver coin, and a quarter-ounce 50-euro gold coin with proof finish. The Great French Ships coins have been popular in both France and abroad and are widely collected by Francophiles as well as by topical collectors whose primary area of focus is collecting coins with ships and other nautical themes. Charles de Gaulle is viewed from a low angle looking toward the ship’s landing strip, the vessel’s control tower and radar dishes clearly in view. Flying above the ship and closer proximity of the viewer is the Dassault Rafale fighter jet; in English, the plane’s name translates to “gust of wind” or “burst of fire.” The multirole plane was first flown in 1986 and formally introduced in 2001, the same year Charles de Gaulle was commissioned. A silhouette of the Dassault Rafale is seen taking off into flight from the aircraft carrier. Three series of hash marks arc across the upper portions of the obverse and indicate the motion of plane flight. Toward the bottom of the coin the inscription LE CHARLES DE GAULLE is seen in two horizontal lines of serifed text. Two tampion motifs flank the name of the ship on the coin, with the left one bearing the initials RF for RÉPUBLIQUE FRANCAISE (“France”) and the right depicting a stylized anchor. The reverse, a design shared among all coins in the Great French Ships series, depicts the profiles of five stylized ships with a chain arcing across the bottom center of the coin from the five o’clock position on the lower rim to the seven o’clock spot on its left. Under the chain, the coin’s 2016 date is seen. Arcing along the top of the coin is the inscription LES GRANDS NAVIRES FRANCAIS (“the Great French Ships”). A striped banner stating the coin’s denomination, 10 EURO, hangs above the ships.